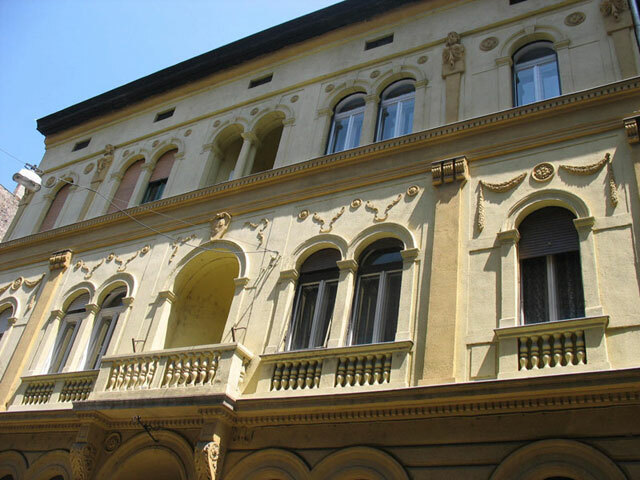 Classic period building on Szentkiralyi utca beside the National Museum in the 8th District. 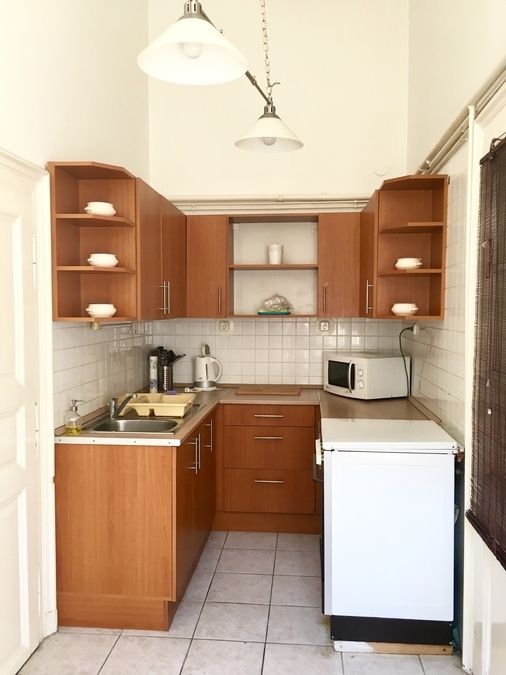 2 little balkonies ( smaller one ideal for a coffee/cigarette, bigger back one for a little table w 2 chairs/storing bycicles..) 1 main bedroom w double bed ( 20sqm ) 1 big entrannce area w galery possible to put a mattrace there for second bedroom ( 15sqm ) 1 big living room ( 20sqm ) kitchen ( no dishwasher ) bathroom w a tub, washing mashine sep toilet food storage ideal for students. 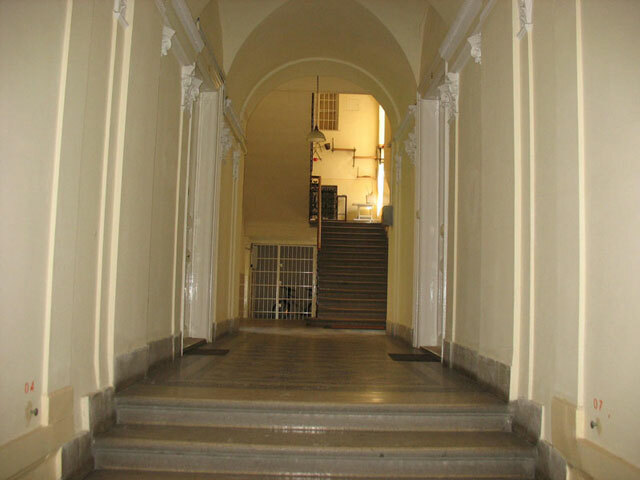 2nd floor, no lift, very good location, very good building, no animals please. 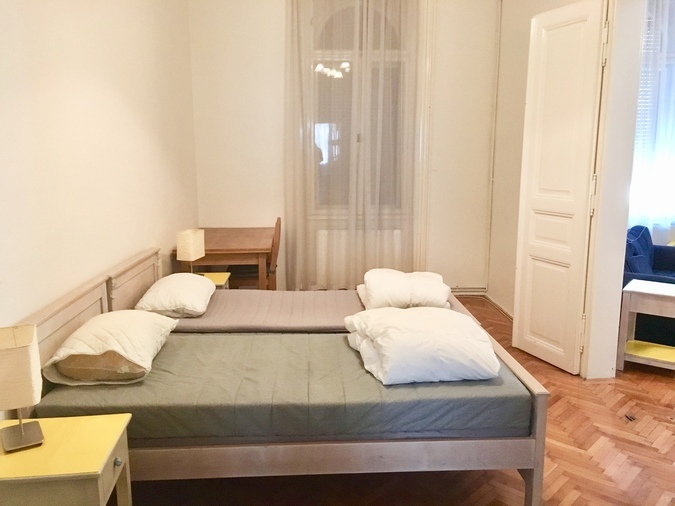 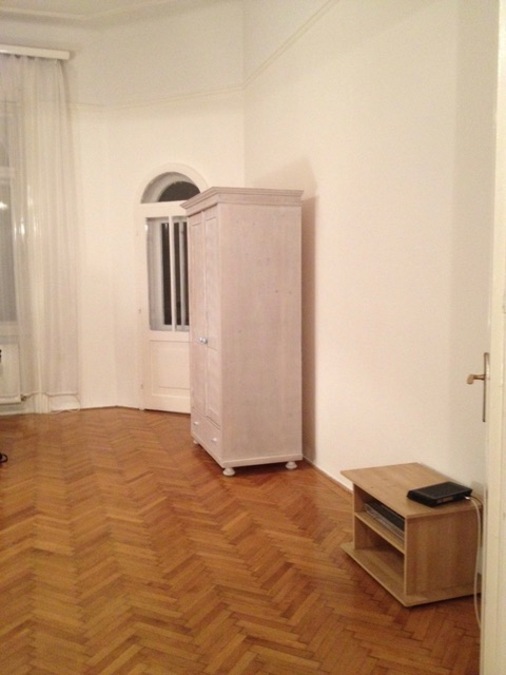 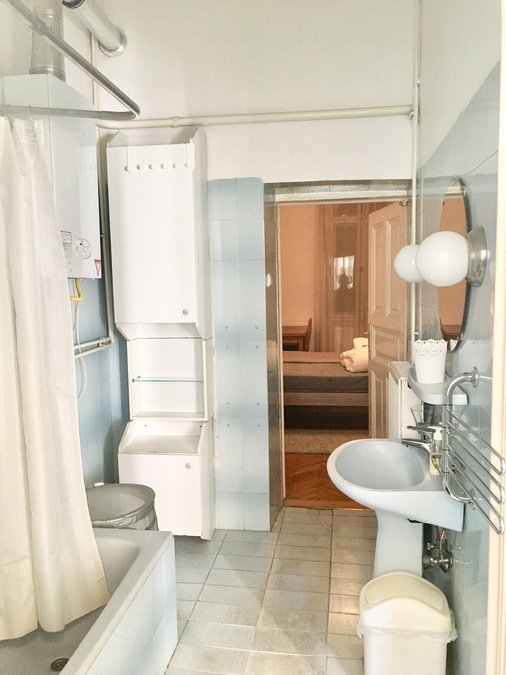 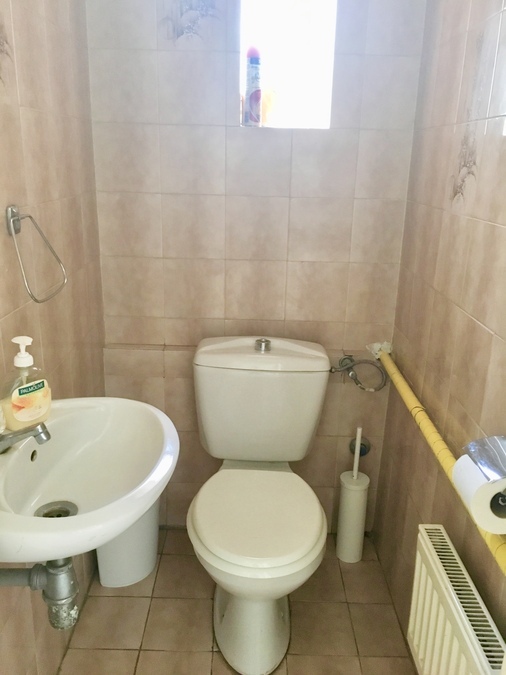 The Szentkir�lyi utca apartment has two very large front rooms, one a large double bedroom and the other with the possibility as use as a bedroom or living room. 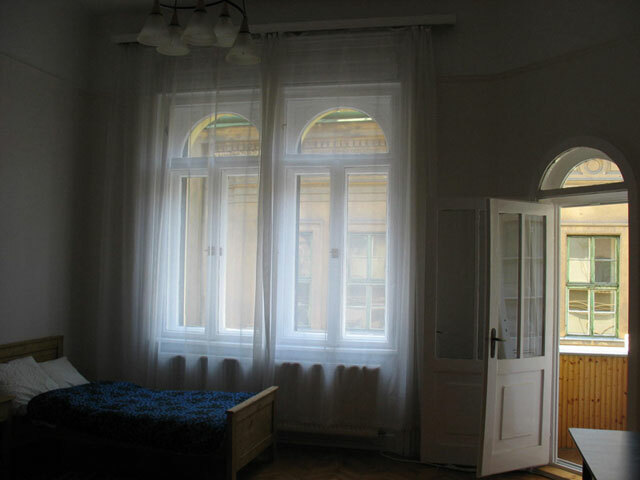 This room also has a small street facing balcony. 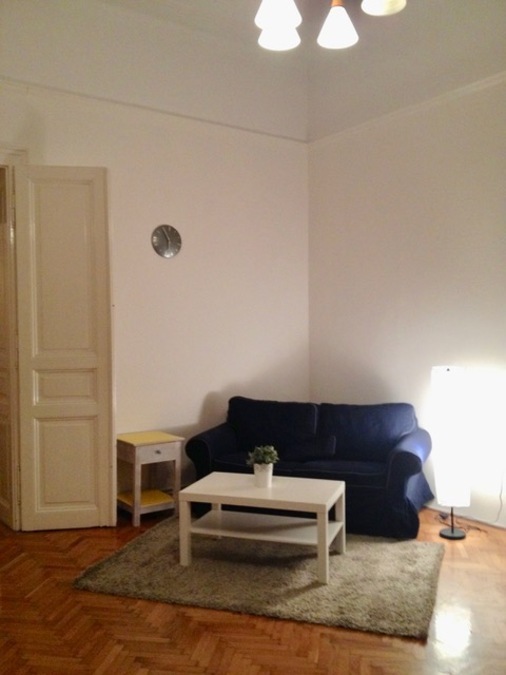 The apartment is 90sqm, located on the second floor of a classic period building (no lift). 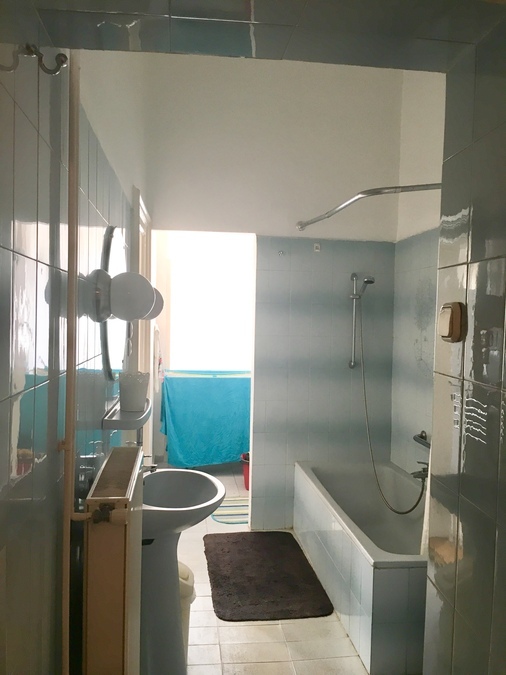 It has a large bathroom, separate washing/drying/utility room, separate wc and small kitchen diner, the hall is large enough to be used as a living area if two people wish to have 2 large bedroom/study rooms. 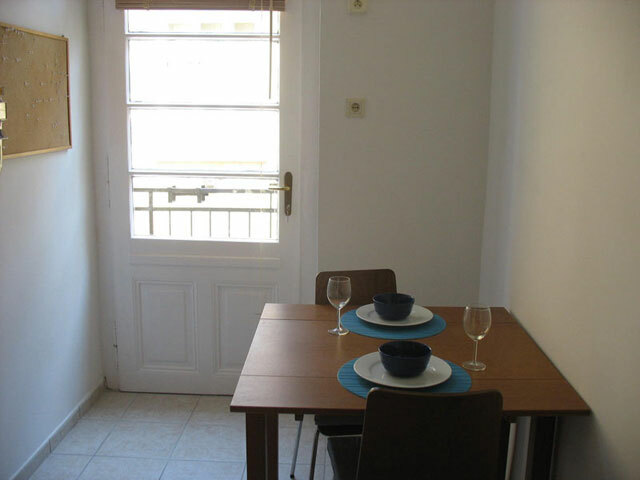 There is also a small 6sqm courtyard facing terrace for eating al fresco in the summer. 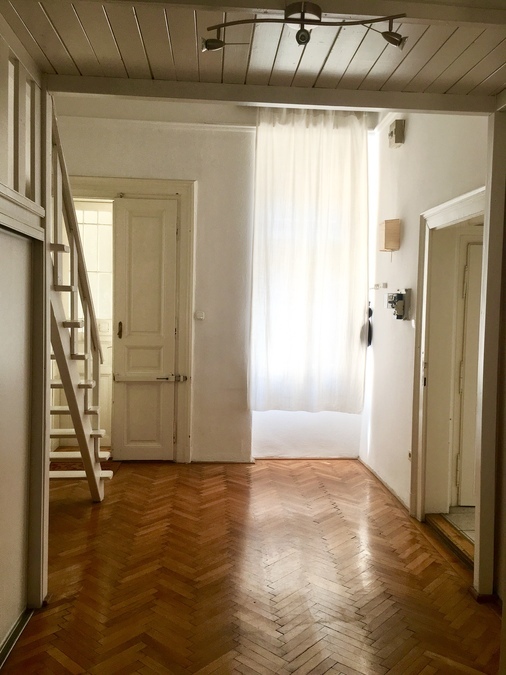 Located in the heart of the 8th district on Miksz�th K�lman t�r, beside the National Museum, R�day utca and a comfortable walk to all major city centre attractions. 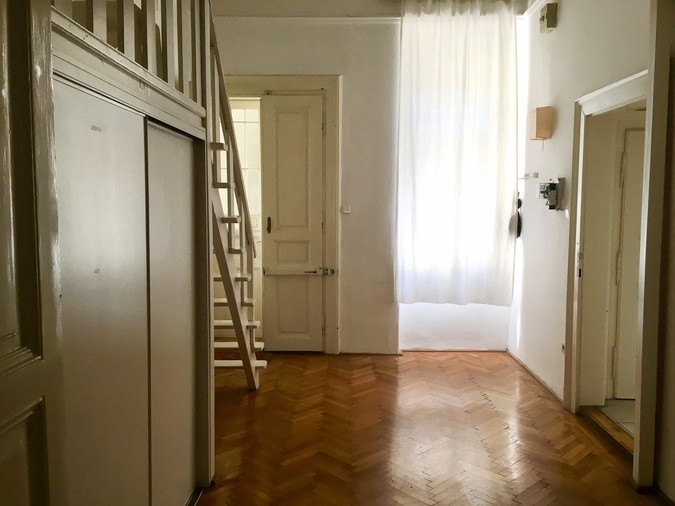 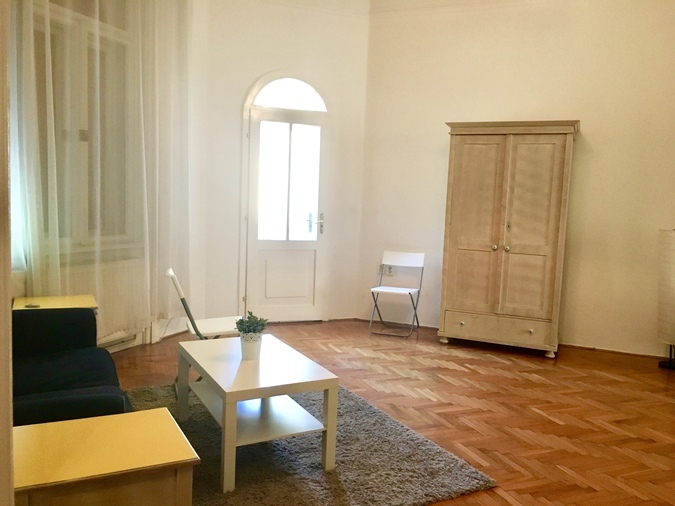 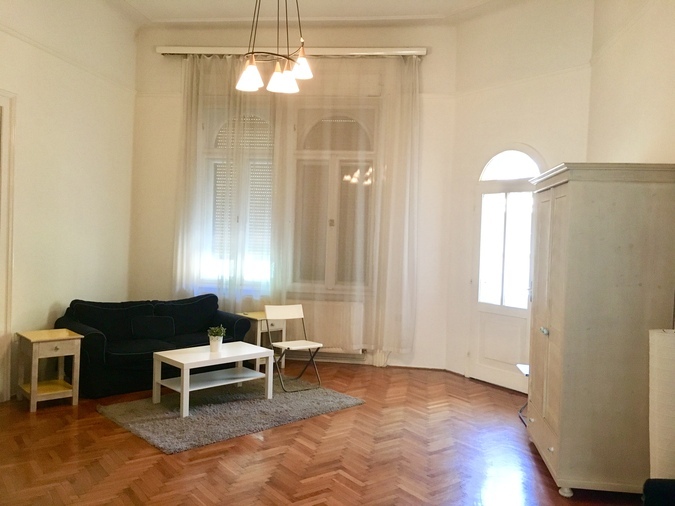 The apartment has a great feeling to it with high ceilings and wooden floors, the house is also very well maintained with a beautiful entrance hall and stairwell. 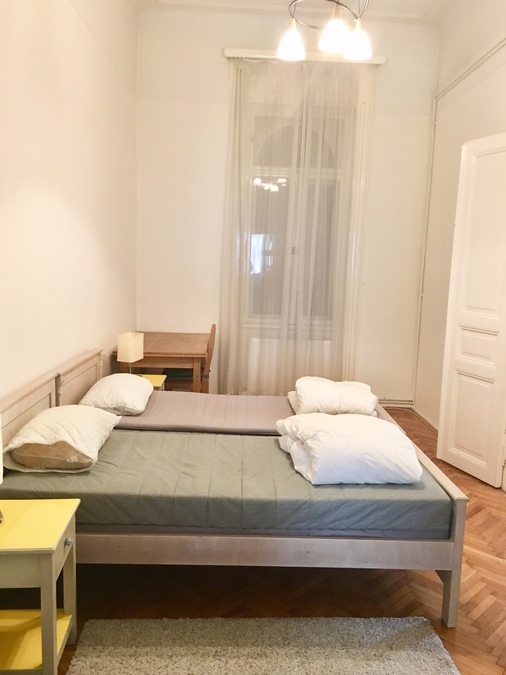 The local square and street, Miksz�th K�lman t�r and Krudy Gyula utca is a thriving, young bohemian area, a great place for young professionals or students. 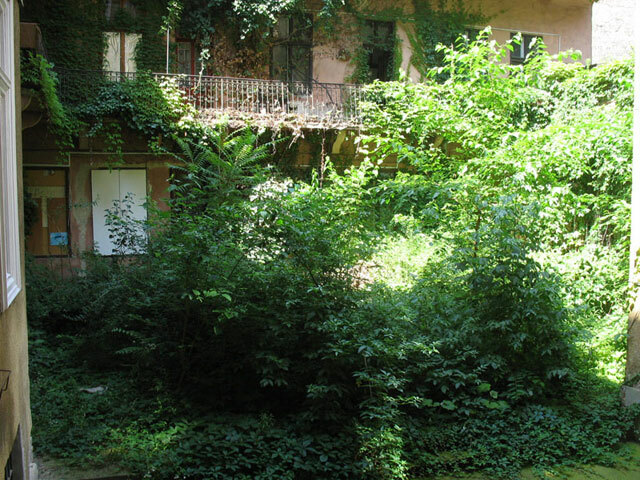 For a young family there are 3 enclosed playgrounds in the vicinity, which are places to relax even for those without children, thanks to the pretty gardens and fountains. 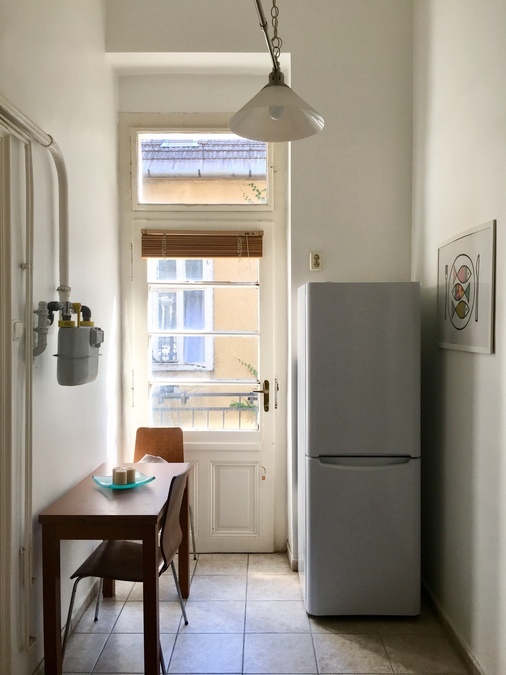 The apartment can be reached by tram, underground, and bus. 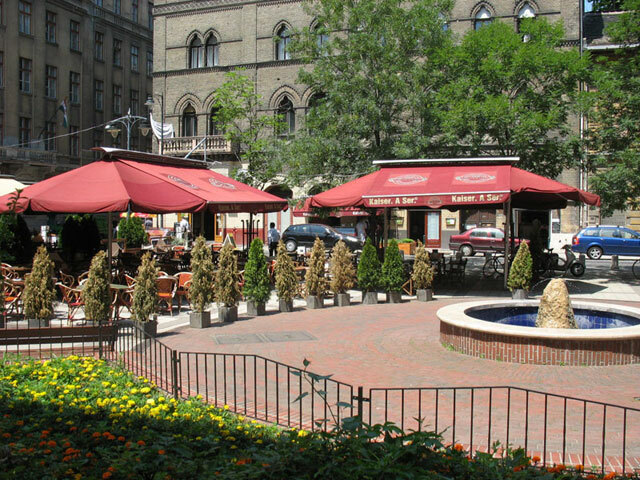 The nightbus services run nearby as well, so even if you stay out till the morning, it will never be a problem getting back by public transport. 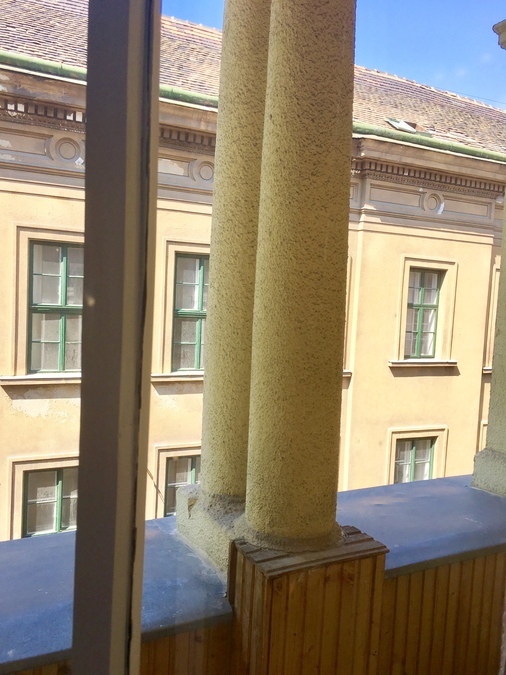 This apartment is on the 2nd Floor of the building, and the building does not have a lift (elevator).